Chronic lung disease is a growing and debilitating health issue for countries in East Africa. Resulting from respiratory infections such as TB and HIV, and lifestyle problems such as tobacco smoking and poor nutrition, chronic lung disease affects one in five adults in Africa and is a major threat to health. A research team from Plymouth University Peninsula Schools of Medicine and Dentistry has been awarded a grant in excess of £136,000 from the Medical Research Council/ Department for International Development/ Wellcome Trust Joint Global Health Trials scheme, to evaluate a pulmonary rehabilitation programme initially in Uganda. As a development grant, if the evaluation is successful it will lead to the international roll-out of a larger evaluation trial which will incorporate centres in Uganda, Tanzania and Zambia. Patients with chronic lung disease are prone to breathlessness and inactivity, and in Africa they are disproportionately from deprived communities, many lacking the means for drugs or transport to medical clinics. The condition is having a negative impact on African economies through lost productivity and disability, and through additional pressure on already stretched health services – yet it is neglected as a health priority. 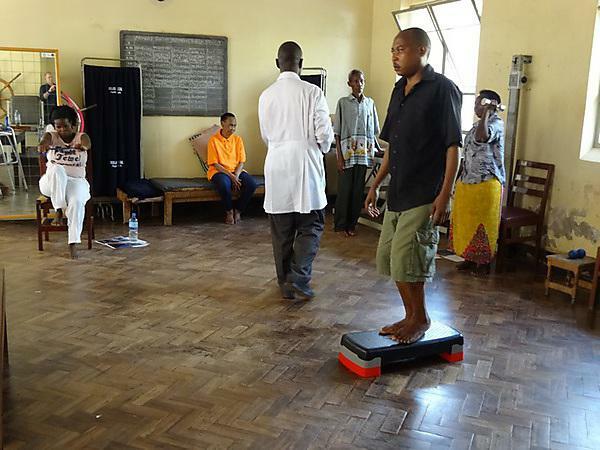 In a pilot study, the team established a pulmonary rehabilitation programme in Mulago, Uganda. The research team will assess the content of the programme and their ability to teach local health workers how to deliver it consistently. The team will also test how inclusive the programme is for the local population, the number of patients who are suitable to take part in the programme and who are willing to take part, and ways to improve recruitment. They will also measure the effectiveness of the programme by analysing completion rates. The team will then evaluate their findings, looking at effectiveness in measures such as walking distance and health status, as well as the programme’s impact on social and economic factors.